Omarosa Manigault Newman, when she was still a White House staffer. She has since written a book about her time with the Trump administration, which prompted President Trump to call her a "lowlife" on Twitter. President Trump just gave Omarosa Manigault Newman the gift of another news cycle. Trump tweeted a scathing criticism of his former top-level aide just as her book-promoting media tour was gaining steam, all but guaranteeing the kind of made-for-cable feud that made them both reality TV stars and ultimately brought them to the White House. Manigault Newman's book, Unhinged, is due out Tuesday. Referencing his shows The Apprentice and Celebrity Apprentice, Trump tweeted that Manigault Newman "got fired 3 times on the Apprentice, now got fired for the last time. She never made it, never will. She begged me for a job, tears in her eyes, I said Ok. People in the White House hated her." Given this assessment, one might ask why Manigault Newman was given the high-ranking title "assistant to the president" with pay of $179,700 a year. But, Trump answers that too, with his second tweet: "When Gen. Kelly came on board [as chief of staff] he told me she was a loser & nothing but problems. I told him to try working it out, if possible, because she only said GREAT things about me - until she got fired!" The president continued with a third tweet, "While I know it's 'not presidential' to take on a lowlife like Omarosa, and while I would rather not be doing so, this is a modern day form of communication and I know the Fake News Media will be working overtime to make even Wacky Omarosa look legitimate as possible. Sorry!" 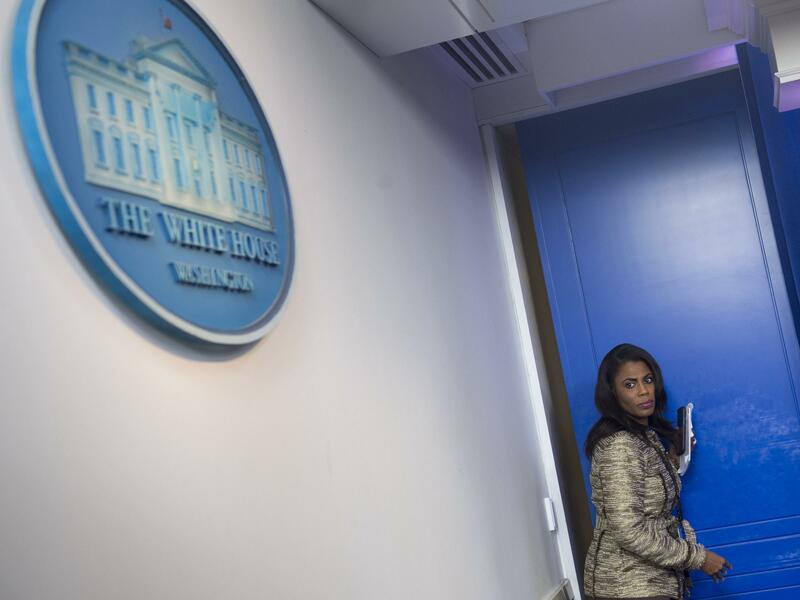 Manigault Newman has been making the rounds, doing interviews to promote her book and as part of that has released audio she secretly recorded of others in the Trump White House. That includes audio of her being fired by chief of staff John Kelly in December (she says she wasn't fired but forced to resign). It was recorded in the situation room at the White House, a highly secure complex of conference rooms where personal electronics are banned. "The very idea a staff member would sneak a recording device into the White House Situation Room, shows a blatant disregard for our national security – and then to brag about it on national television further proves the lack of character and integrity of this disgruntled former White House employee," said press secretary Sarah Sanders. Manigault Newman gave her secretly recorded audio to NBC's Meet The Press and the Today Show. One recording appears to be of a conversation between her and the president where he expressed dismay at her firing. NBC said it didn't have further context beyond what was in the tape provided by Manigault Newman. Manigault Newman interpreted as a sign that the president wasn't in control of his own White House and had ceded it to his chief of staff. Traditionally chiefs of staff do handle hiring and firing in the White House.